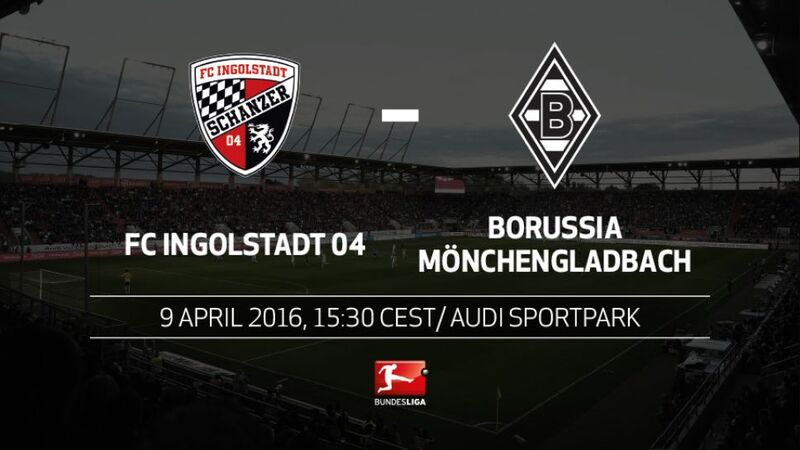 UEFA Champions League hopefuls Borussia Mönchengladbach will be looking for a first away win since late October when they travel to FC Ingolstadt 04 on Saturday (kick-off 15:30CEST/13:30GMT). It is now over five months since the Foals tasted victory on the road in the Bundesliga, when they beat Hertha Berlin 4-1 back on Matchday 11. Andre Schubert's men come into this one on the back of an excellent home win against the Berliners last Sunday, but they will have to correct their away form if they are serious about finishing in the top four. For Ingolstadt, the ambition at this point remains survival. Ralph Hasenhüttl's men are well-placed in ninth in the standings and dispatched another European contender - FC Schalke 04 - on Matchday 28, but will likely face a far sterner test here. Ingolstadt will have 39 points if they win this game. No newly-promoted club will ever have had so many points at this stage of a Bundesliga season.Die Schanzer are undefeated at home in 2016 and have taken more points on home soil in that time (14) than every club except Gladbach and Borussia Dortmund.Matchday 28's 3-0 victory over Schalke was Ingolstadt's biggest top-flight win to date.Meanwhile, the Foals' 5-0 win over Hertha was their most handsome league victory since November 2011.Gladbach are winless in seven away matches and have taken just one point from their last five - the worst record in the league.Ingolstadt's Lukas Hinterseer has scored at least once in his last five appearances. Only Dortmund's Pierre-Emerick Aubameyang has embarked on a longer scoring streak this season (seven).